It started with a vision of better crops and less manual labor. Now it’s a fully operational business. Growing up on a farm near Centerton, Brent Milhon, a sixth generation grower, saw a better way to grow crops and ease the workload of farming. “Back in the 70s we would walk the field a lot. Everyone would put a 2-½ gallon sprayer jug on their shoulder, and we’d walk through the crop, it was maybe waist high. We would spray and pull weeds as we walked. It was a lot of manual labor.” Milhon still lives in Centerton, where his family has farmed for over 100 years. He began spraying the family crop at first, but quickly realized that other farmers could benefit from this service not only in terms of time, but also in terms of crop yield. In 1981 Milhon Air, Inc. was formed. 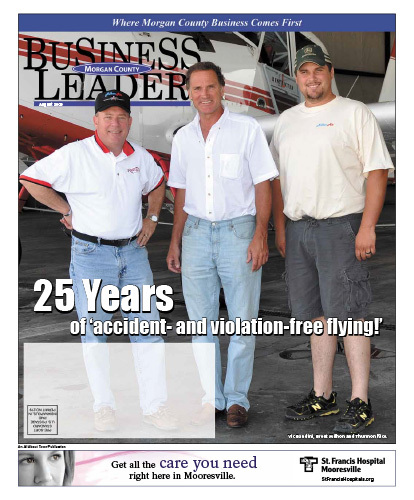 The business that started with one plane and one pilot has flown accident- and violation-free for over 25 years. Today Milhon Air has a fleet of modern planes and helicopters, FAA-certified pilots and fully qualified ground crews. Download the full August 2009 Edition here.